Loaded with tons of advantages, the 100% pure Madder Root that we make available is increasingly being demanded by the global market. 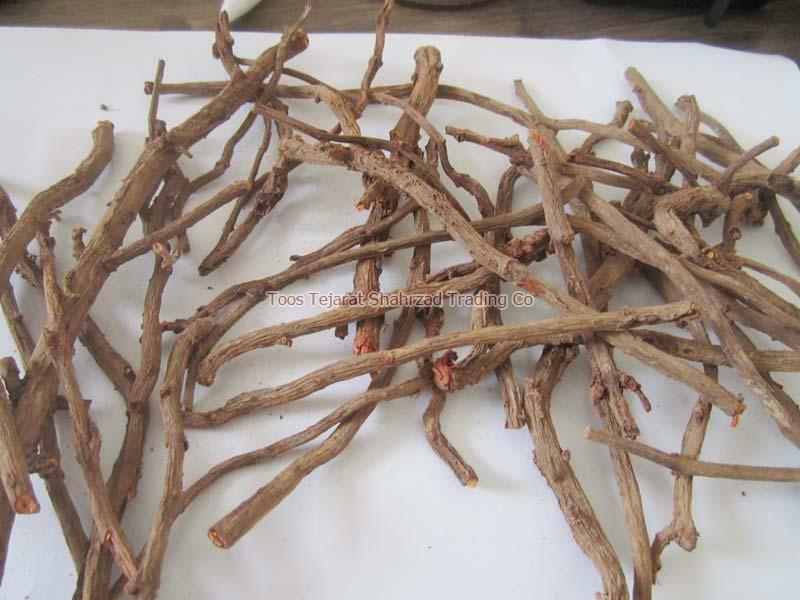 We are one of the acknowledged Manufacturers, Exporters, and Suppliers of Madder Root from Mashhad, Iran. We are renowned for offering the products with the desirable attributes. And our swift ways to fulfill the orders have been satisfying the customers ever since. They are used to lower the blood pressure. The roots are used internally in the treatment of abnormal uterine bleeding, internal and external hemorrhage, bronchitis, rheumatism, stones in the kidney, bladder and gall and dysentery. The stems are used as they are considered to have a bitter taste and a cooling potency. They are used in the treatment of blood disorders and spreading fever of kidneys and intestines. A valuable red dye is obtained from the root and stems. Roots are made into paste for application into ulcers, inflammations and skin troubles. A decoction of leaves and stem is used as a vermifuge.